Since Gennadiy Kalistratov sadly passed away in 2009 the "K" engines have been missed on the marine market. Until now. It's a couple of German RC boat enthusiasts that has brought the K45 back (now marked as FW-K45) with the majority of parts re-made in Germany and some in Russia (like piston/liner/con-rod). Note, the FW-K45 engines are not produced in "big" volumes - it's a small scale production for EXPERTS ONLY. 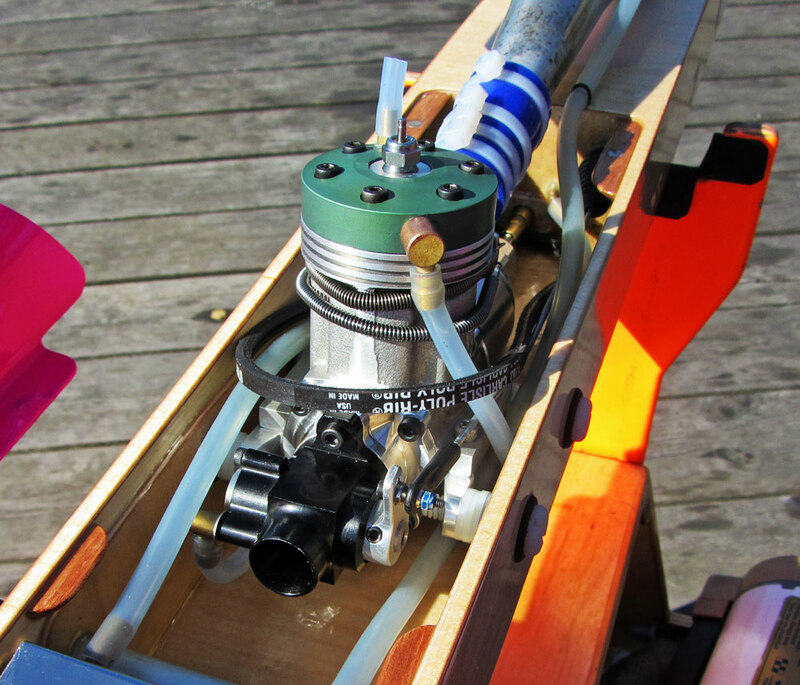 The engine might need some final touches with your Dremel etc. 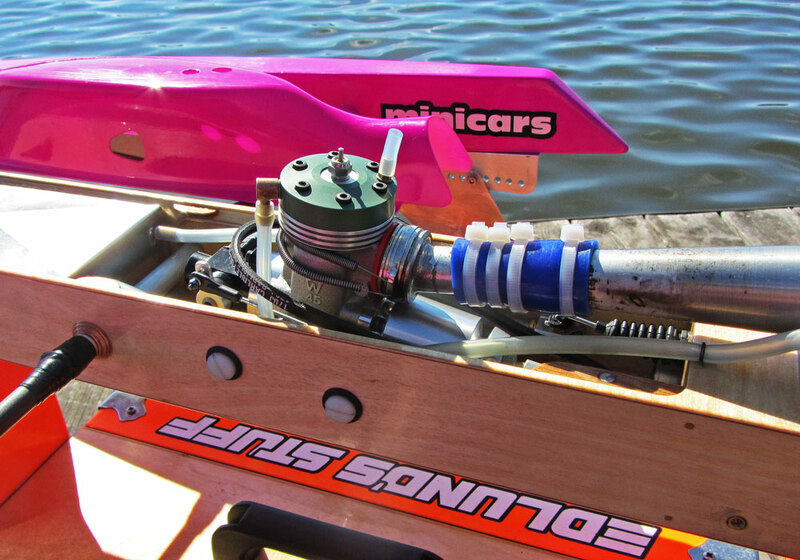 If you are a "sport" boater - look elsewhere - this is NOT the engine for you! 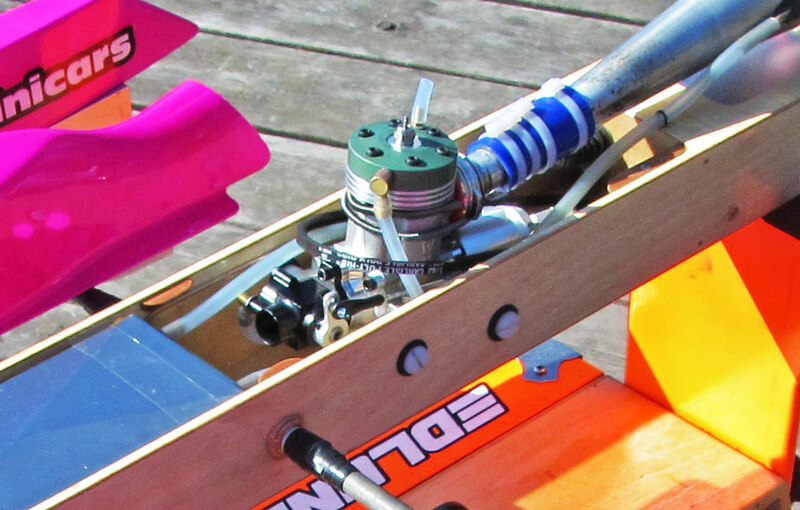 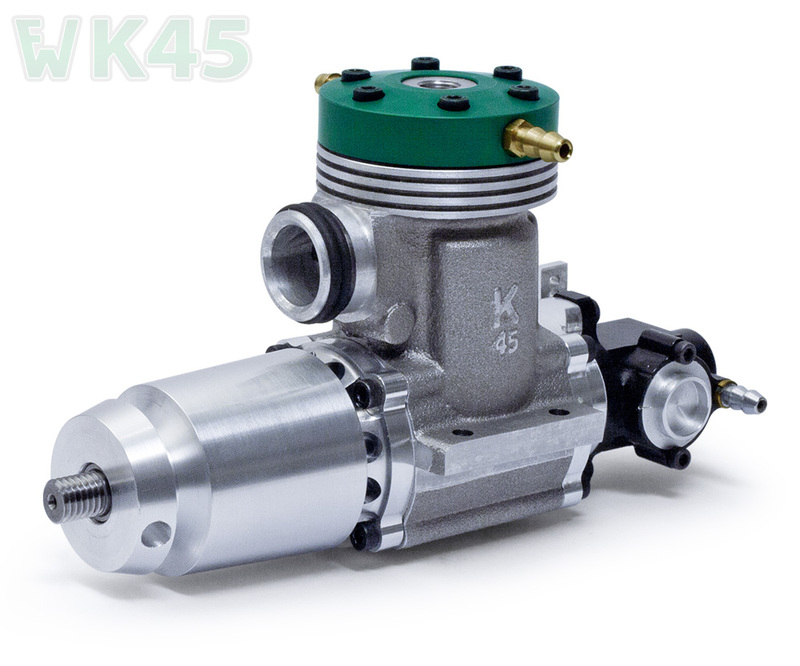 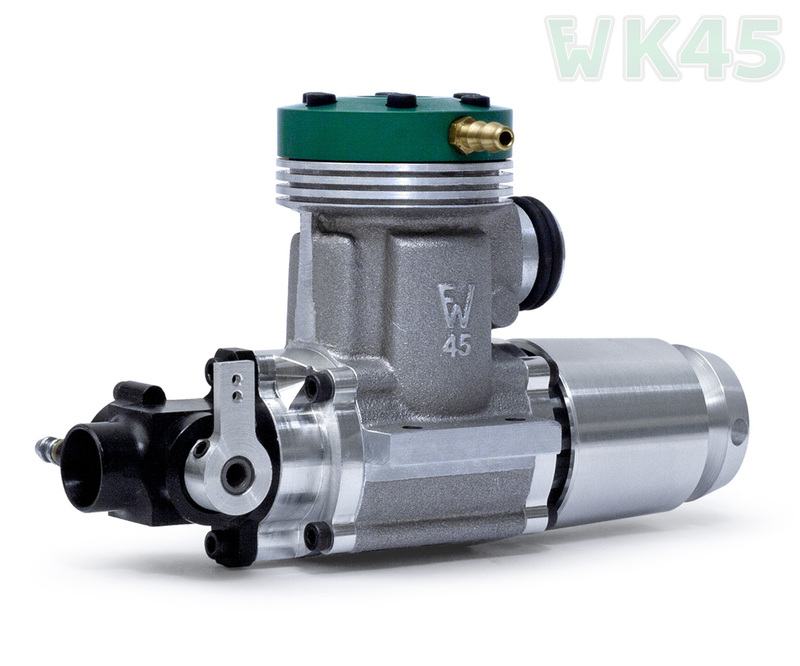 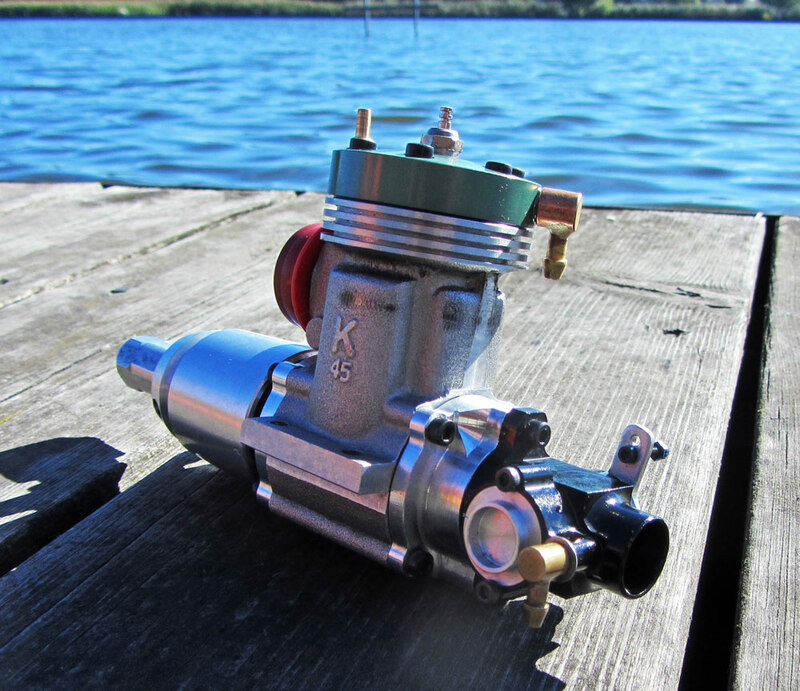 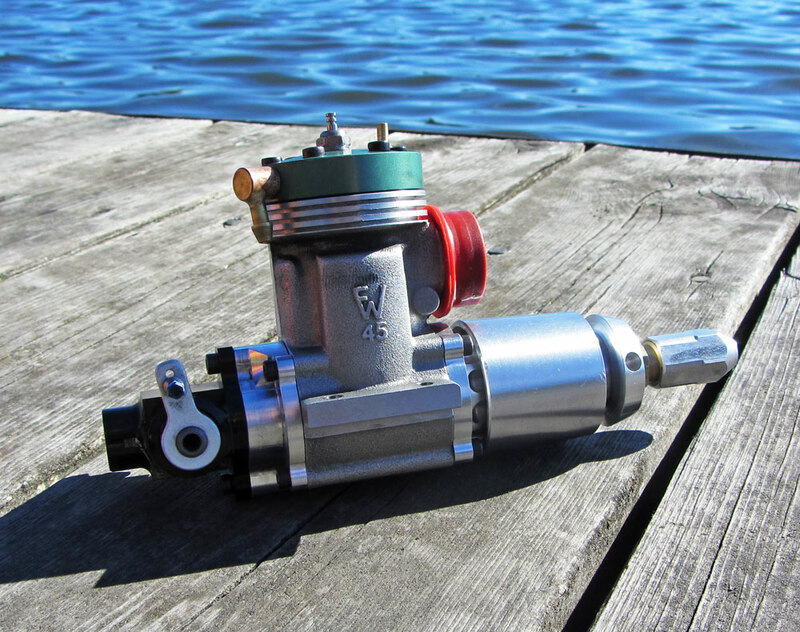 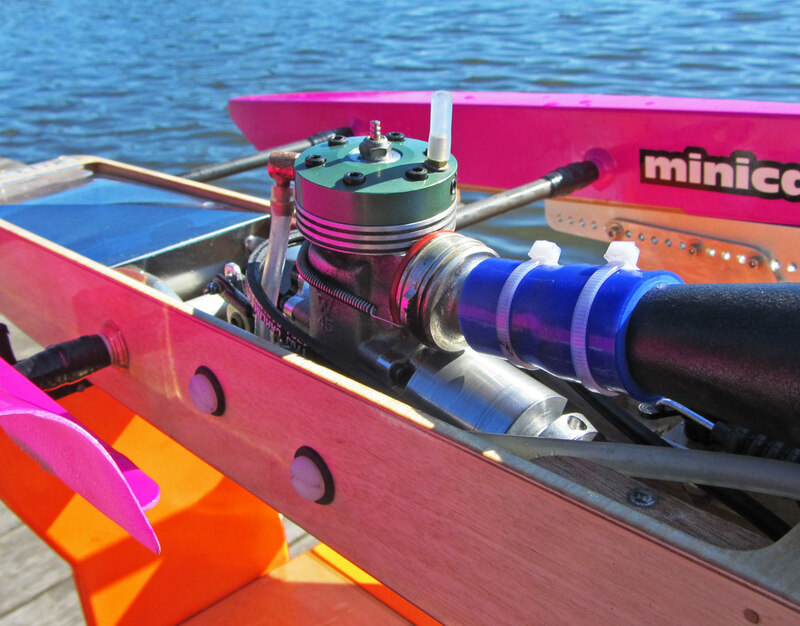 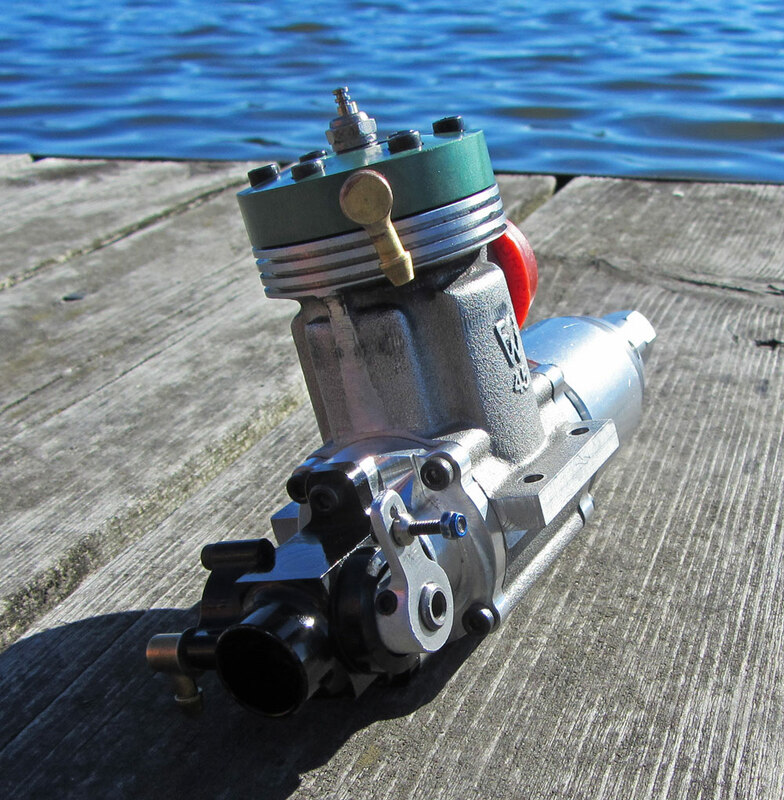 The characteristics of the short-stroke K45 is that it wants to rev higher then most long-stroke engines. 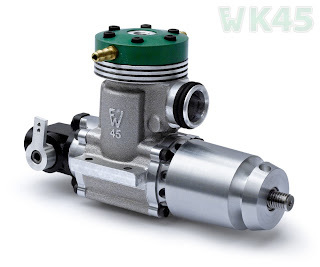 That means that the pure torque is in most applications less then other similar longer stroked engines. 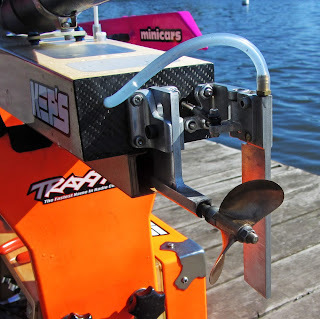 In reality that means that the heavier, and more "wet", your boat is - the smaller propeller you need to use. 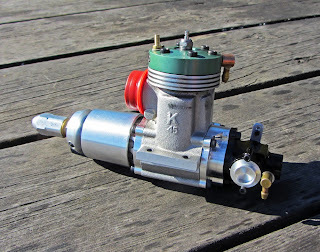 If you think that you can tune the K45 in the same way using the same prop as another race engine you will most likely be disappointed. 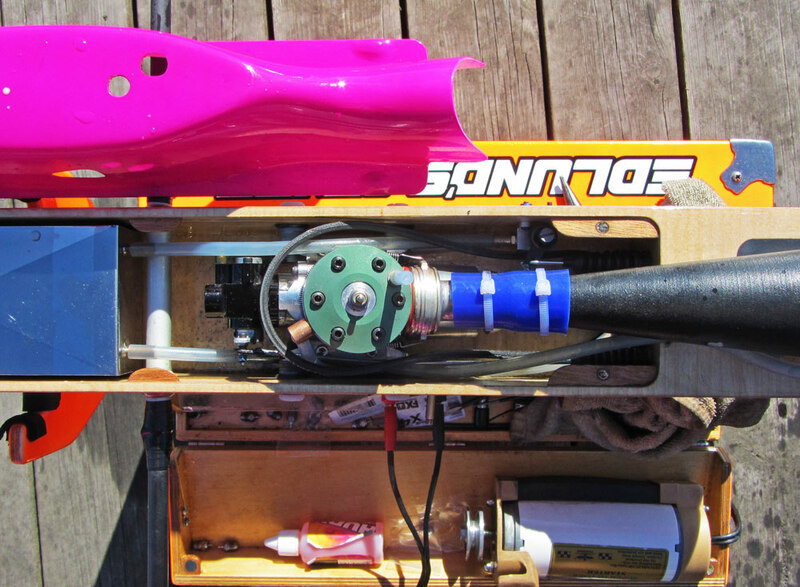 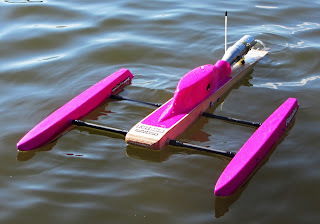 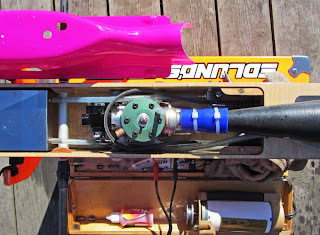 The lighter-weight, and lighter running, modern 3-point outrigger hydroplanes are the ones that are the easiest to get running really good with the K45 if you ask me. 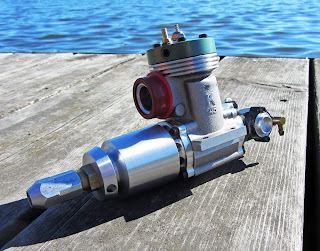 If you have an "old-school" (wet-running) and heavier 4/5-point hydro like an Eagle, RoadRunner or FireFighter etc - then the performance difference might be smaller and you need to use a smaller prop. On my prototype KEP's T2-44 rigger I can use the same prop as with the engine I have been racing with in 2013 though but it's about 10% faster - mostly due to the fact that I can lean it in so it revs more. 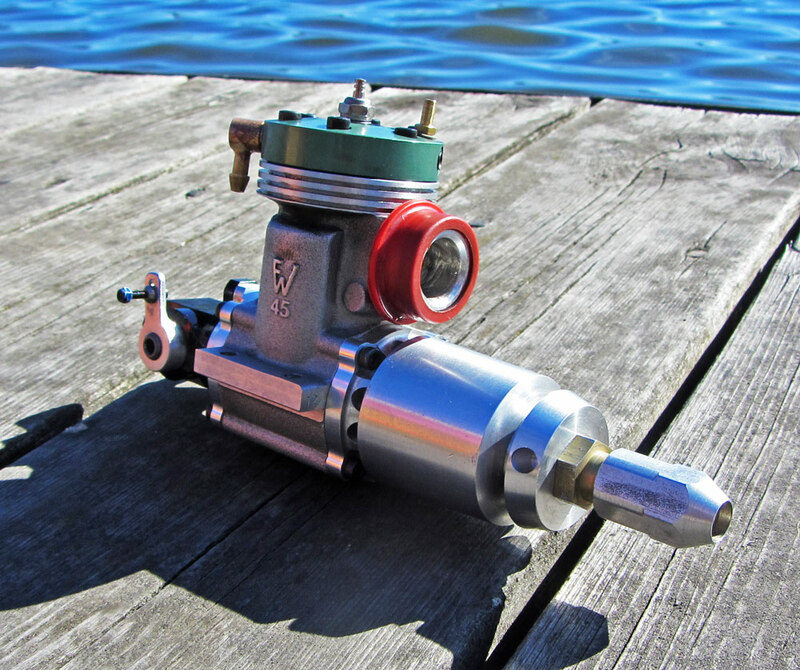 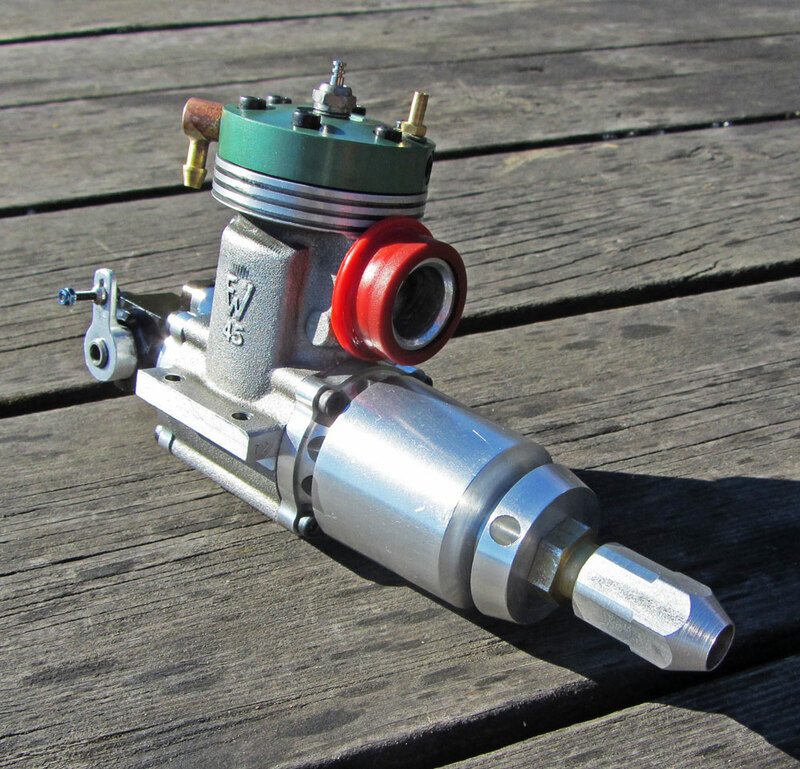 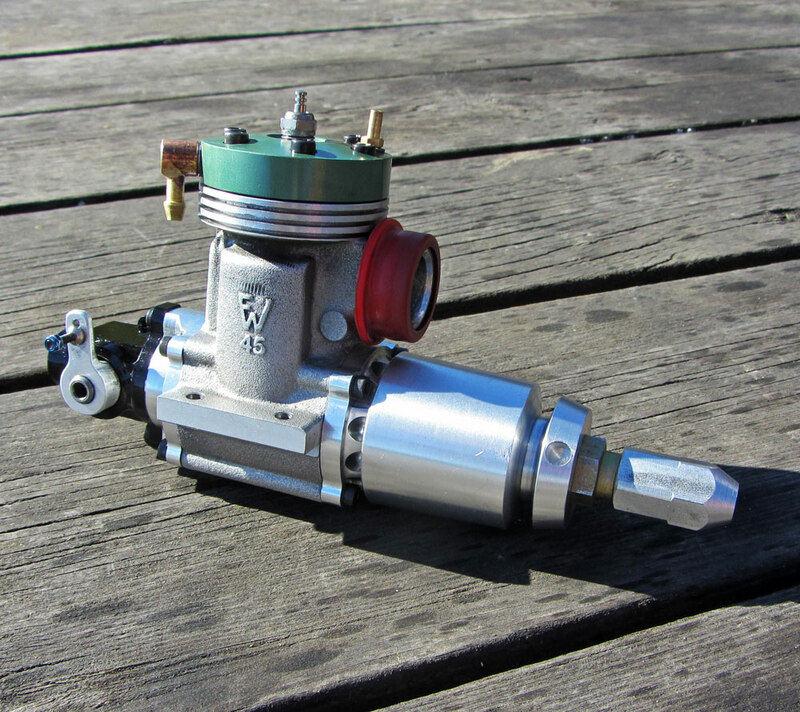 Carb with 9.8 mm venturi and built in metering system (can be modified for those who wants no "midrange" metering). 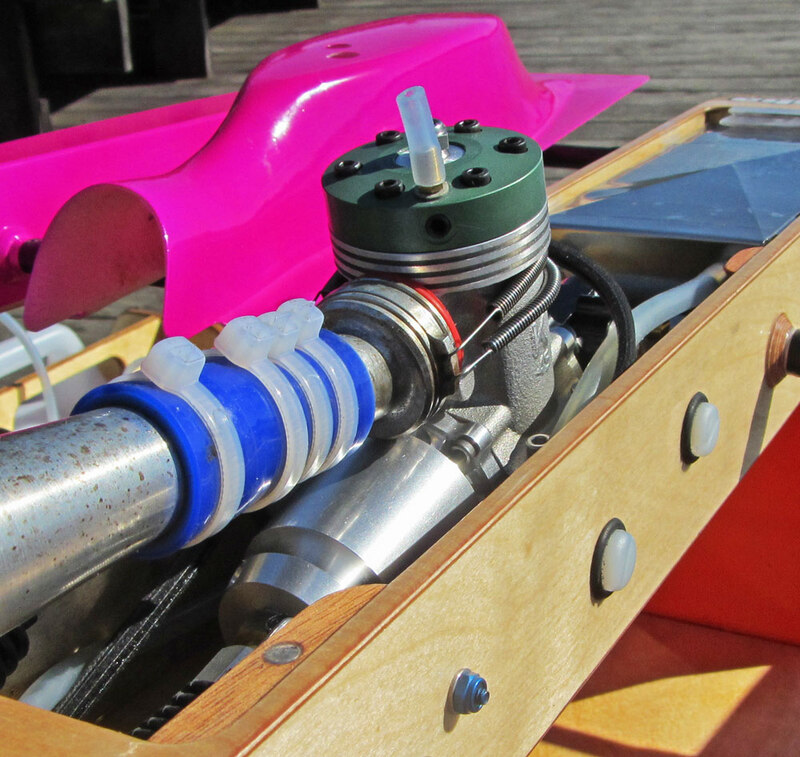 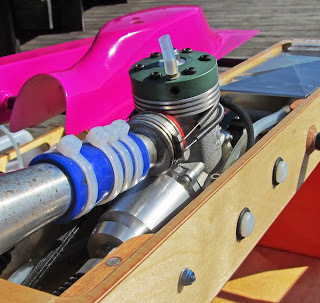 Note, the carb barrel is "directional" as it has a metering system built in! 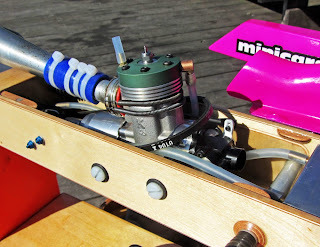 More engine pics can be found HERE.